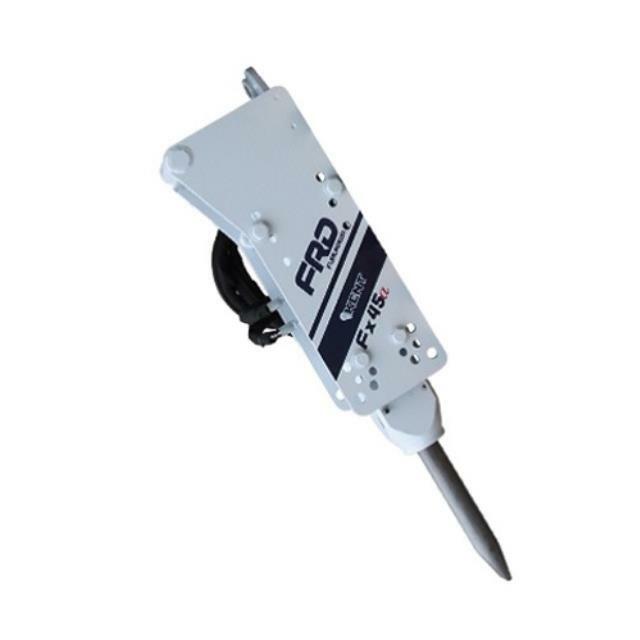 The hydraulic breaker can be added is ideal for tackling concrete demolition with ease. This mounts on most skid steers and makes breaking concrete about as easy as pushing a button. It is set up with a standard mounting plate (not shown in picture).